Similarly to people, animals also have feelings. Their range of emotions is almost equal to ours, even though they hardly understand what they feel. On the initial level, these monkeys have abstract concepts and associated emotions. For example, they realize the death and truly mourn for the lost companion. Today, we want to share the story of the oldest monkey in Europe. In the last days of her life, she met an old friend, and its emotions were truly humane. Just check the reaction recorded in the video. 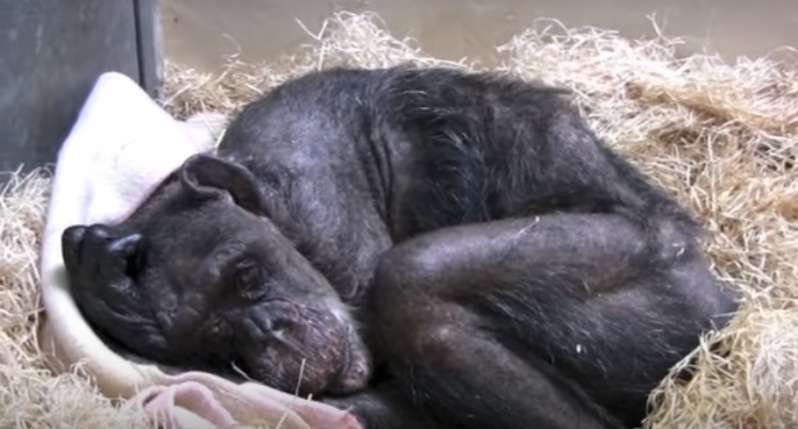 Chimpanzee named Mama lived a long and happy life. She was the matriarch of the monkeys’ colony at the Royal Burgers Zoo in the Netherlands. In addition to animals, she had friends among people as well. Most of all, she was close to biologist Jan van Hooff, who founded the monkeys’ colony in the zoo. Mama and Jan first met in 1972. 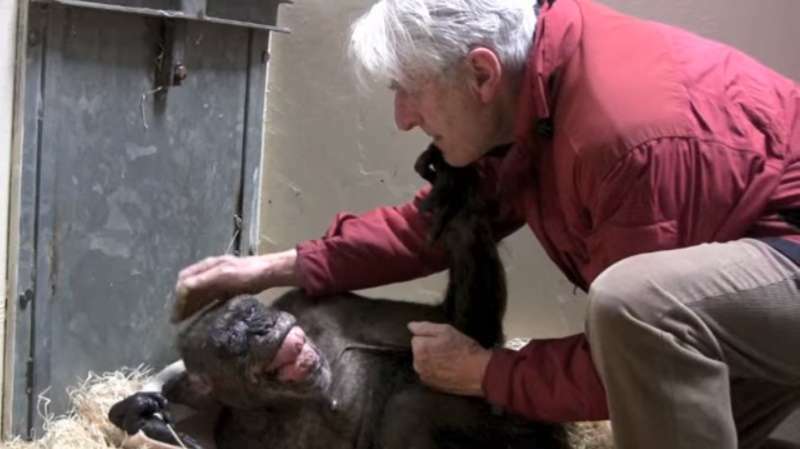 The chimp became ill when she was 59 years old. Upon receiving the terrible news, the devoted friend came to visit her. He started stroking weak Mama’s head. The monkey ate hardly anything in the last days, and it was obvious she was too tired to fight for her life. Mama laid and waited for the death to take her away. It didn’t take long to recognize the old friend. Mama allowed Jan to feed her. Her reaction was heartbreaking. Mama stroked his hair with love and put the arms around his neck. It was their last meeting – a few days later, the monkey died. Dr. Hooff admitted he would miss Mama. Luckily, their meeting was recorded. Have you ever seen more touching parting? Share the video with your friends. Let them see how strong the animals’ feelings can be!